Smith, Z. (2009). 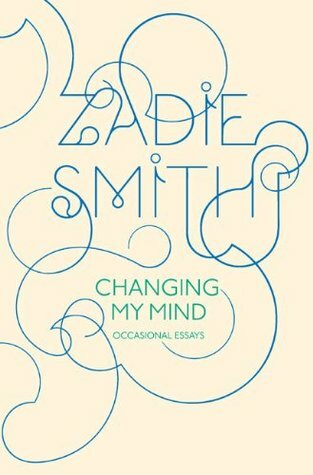 Changing My Mind: Occasional Essays. The Penguin Press HC. The Penguin Press HC, 2009. 320 pages. Their Eyes Were Watching God: What Does Soulful Mean? I LOVED this essay. about the process of reading a novel and two very different approaches to it: Roland Barthes's authorial death sentence and the New Criticism school (Kristeva, Foucault, Derrida), vs Nabokov's view that the author is God. this essay is about finding a balance between the two, because if you go the Barthes route indiscriminately you end up with silly, anachronistic, college-freshman readings that offer little value to anyone. great essay that makes me want to read both Barthes and Nabokov. lovely essay about Kafka. contrasts two biographies about him: one by his friend Max Brod, and one by a Louis Begley (that Smith seems to find superior). covers Kafka's apparent misogyny, as evidenced through his work (comparable to Larkin's); his struggle with his Jewish identity; his struggles with writing and success. comparing and contrasting two recent Anglophone novels: Netherland by Joseph O'Neill and Remainder by Tom McCarthy. Remainder is the weird one about the coma patient who tries to re-enact (or: enact) his forgotten life. this essay covers Remainder a lot more than Netherland and it seems like Smith finds the former to be far more interesting. from a lecture given to Columbia University's Writing Program in 2008, titled "to speak about some aspect of your craft"
about Barack Obama's Dreams from My Father and his wonderful gift of being able to capture other people's voices, both in the book and during his political campaign. as a result, he's able to speak the same way as the people he's speaking to--which some might see as a sign of disingenuousness, but which Smith sees as an indicator of empathy and being able to understand multiple viewpoints, traits that would be great in a President. and of course I agree! Giorgio de Chirico's paintings of "metaphysical town squares"